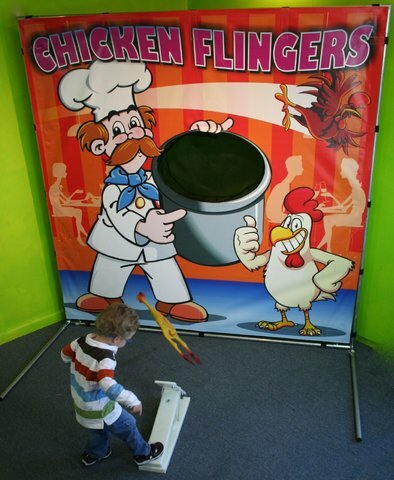 The Chicken Flingers carnival game is loads of fun for all ages. Kids love catapulting the rubber chickens into the chef's pot. 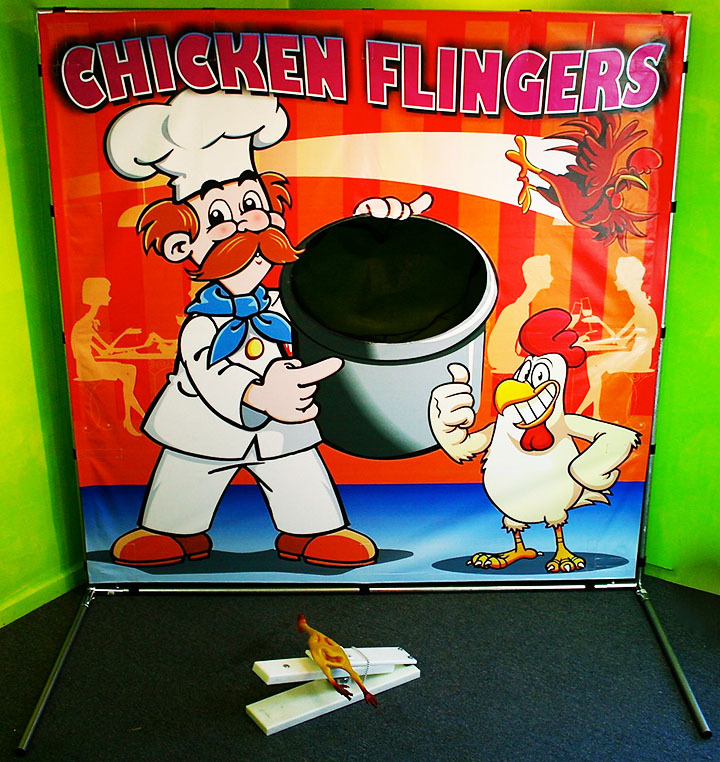 Like all of our carnival games, Chicken Flingers can be used indoors or out.